There is increasing evidence showing beneficial effects of mindfulness and mindfulness training on various indicators of mental and physical health. This paper reports the 6-month follow-up effects of a mindfulness stress reduction training program among patients treated for cancer on perceived stress, depression, anxiety, post-traumatic stress symptoms, positive states of mind, coping self-efficacy, and mindfulness. Patients with a previous cancer diagnosis were recruited and randomized into an intervention group or a waiting list control group. The intervention consisted of an 8-week mindfulness training course. Compared to participants in the control group, the intervention group showed a larger increase in mindfulness at 6-month follow-up. However, there were no differences on any of the other outcomes between the intervention and control groups. 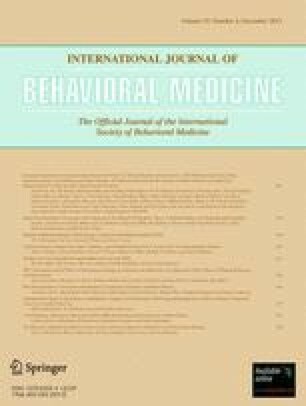 Continued meditation practice was associated with a significant reduction in post-traumatic stress symptoms of avoidance. The study draws attention to the need to better understand the mechanisms behind the effect of mindfulness training and to potential modification of mindfulness interventions to promote sustained benefits over time. This research was funded by a research grant from the Osher Center for Integrative Medicine at the Karolinska Institute, Sweden. Richard Bränström is funded by research grants from the Swedish Council for Working Life and Social Research (Nr: 2006–1264 and 2006–0069), Center for Health Care Science at the Karolinska Institute, Sweden (Nr: 2008–4737), the Swedish Cancer Society, and Cancer-och Trafikskadades Riksförbund, Sweden.